(Bloomberg) -- Australian power-sector tycoon Trevor St Baker will set out plans to build new coal-fired plants under proposals for A$6 billion ($4.3 billion) of developments with a Chinese joint venture partner, the Australian newspaper reported. St Baker, founder of ERM Power Ltd. and chairman of privately-held Sunset Power International Ltd., will submit plans next week to Australian Energy Minister Angus Taylor, according to the newspaper. Taylor has called for new investment in coal-powered plants and demanded generators help to lower electricity prices. The proposals by Baker would see a A$3 billion to A$4 billion power plant with capacity of 1300 megawatt hours built in Victoria state at the site of the shuttered Hazelwood station, a A$2 billion coal plant installed in New South Wales and a new A$500 million pumped hydro facility in South Australia. The plan is the cheapest way to supply the “essential firm generation you need for reliable operations,” St Baker was quoted as saying in the newspaper. Sunset Power and the St Baker Energy Innovation Fund didn’t respond to emailed messages seeking comment sent outside normal office hours. Australia’s energy ministry last month called on companies to register by Wednesday interest in building new power-generation capacity under a program that may offer some government support. Policy on energy is a political battleground in Australia ahead of elections that are expected in May. 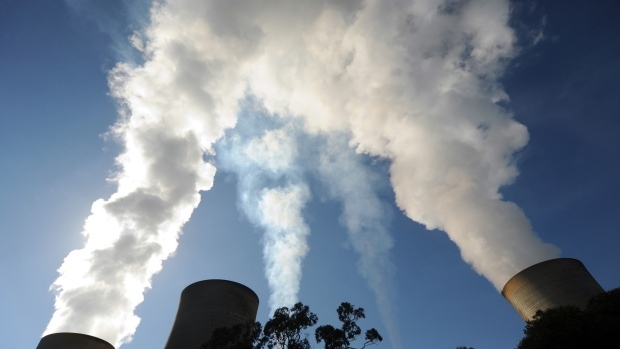 Prime Minister Scott Morrison’s government has said it intends to underwrite new base-load generation, including coal-fired power, a position that’s been met with anger by environmental campaigners who argue the fuel should be phased out of the energy mix to help tackle climate change.